Check the Fien Print: Netflix Watch: "Rocky Balboa"
In a Nutshell: Every bomb has a nuclear half-life and the half-life of "Rocky V" appears to have been more than 16 years and even that may not have been nearly enough time to clear out memories of the stilted supporting performances by Sage Stallone and Tommy Morrison. "Rocky V" was so rank that "Rocky Balboa" comes across as a near-masterpiece in comparison. For my money, "Rocky Balboa" is no "Rocky IV." I mean, in "Rocky IV," Rocky single-handedly ends the Cold War and stops the finest killing machine the Soviet Empire was capable of creating. Here, he just goes into the ring with a soft heavyweight champ (Antonio Tarver) and manages to finally douse his fire down below (Ew). It's a better end for the franchise than "Rocky V," because writer-director Stallone has decided to just go back to the roots -- Rocky as a mumbling underdog, fighting only for himself. The movie's scale is intimate and it contains so many shout-outs to the first movie (still a classic, no matter what the haters might try to tell you) that it's hard not to feel good will. 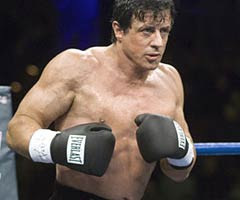 Stallone's tendency is to write and direct as if the viewers have taken as many shots to the head as the main character. If redundant fortune cookie speeches about self-actualization were cut in half, "Rocky Balboa" probably could have had a running time of 45 minutes. Then perhaps Stallone could have found time to develop his various subplots. I'm fine with resurrecting the Little Marie character from the first movie (I wonder if Stallone offered the part back to Jodi Letizia, the original Marie, before going with Geraldine Hughes, who never really feels organically Philly-bred), but no real purpose was served in Rocky befriending Marie's half-Jamaican kid Steps except for to show Rocky looking for yet another son-by-proxy. Here, his actual son has become Milo Ventimiglia (Sage Stallone played the role in the fifth movie, but was replaced, which is probably semi-ironic) and they're chilly towards each other, but thanks to a single "Gotta Fly Now" montage, they become closer than ever. Ventimiglia's only a minor acting upgrade over Sage Stallone, just as Tarver is barely an upgrade over Morrison. And it's a bit funny that Burt Ward actually got an Oscar nomination for his performance in the first movie, because his Paulie has become progressively more annoying with each film. 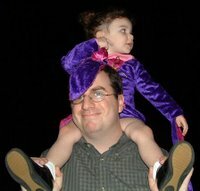 The DVD's cut scenes are full of Young over-acting. The DVD package includes an alternate ending to the film and to the climactic Dixon-Balboa bout. Stallone, always smarter than most people give him credit for, picked the right ending, the only ending the franchise possibly could have had. So there's an actual version of the movie where Rocky wins? Yikes. Burt Ward was Robin the Boy Wonder. You mean Burt Young.